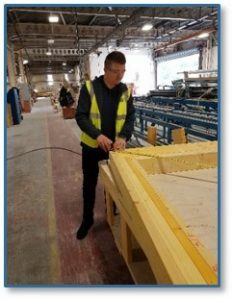 Well done to WoodEngine Apprentice Reece Brookes on being nominated for Apprentice of the Year at the G4C Construction Excellence Awards. 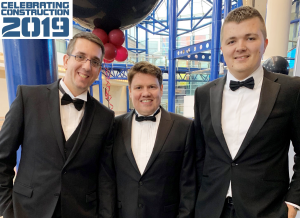 The awards ceremony took place in Birmingham on the evening of 12th April and some of the MiTek WoodEngine team dug out their dinner jackets and went along to support Reece. Reece joined MiTek in Jan 2018 and is mid way through a 2 year apprenticeship studying for a L3 Construction in the Built Environment qualification at Dudley College. The panel very were particularly impressed with Reece’s case study on a Timber Frame project in Cornwall for which Reece produced the timber frame design using MiTek’s WoodEngine and PAMIR software packages, and spent time with the panel manufacturer and on-site to see the entire build process first hand. MiTek has a rich history of developing apprentices and young talent and is committed to promoting and attracting young people into our exciting industry.